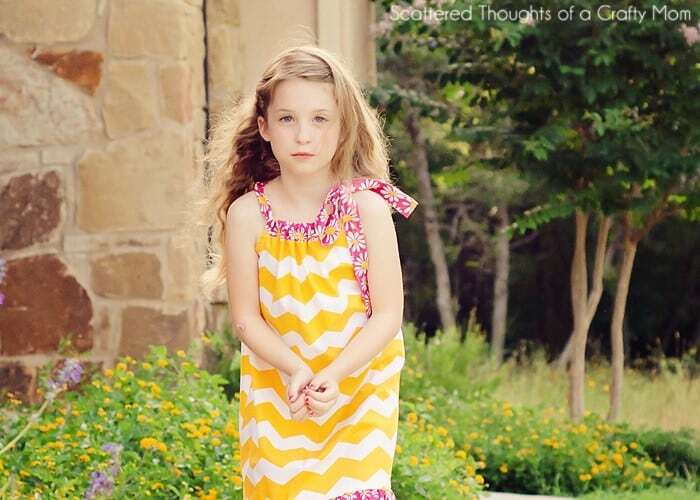 How to make a pillowcase dress: A Pillowcase Dress is a perfect beginner sewing project! 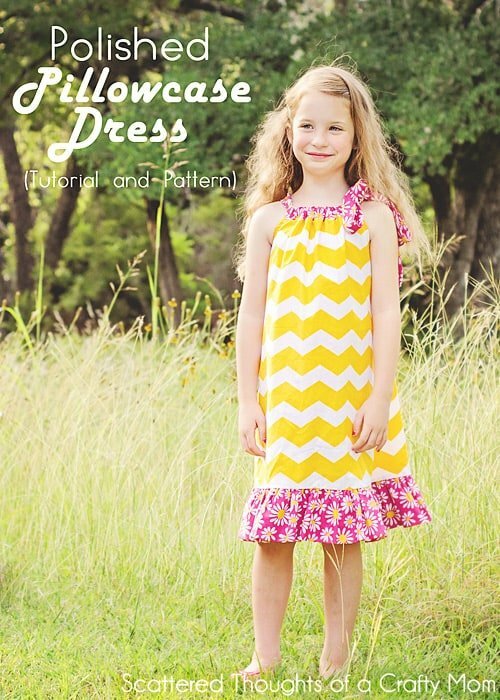 Learn how to sew a Pillowcase Dress with this free pattern & tutorial! What is a Pillowcase Dress? When it comes to sewing, I really like projects that are quick, simple and cute. 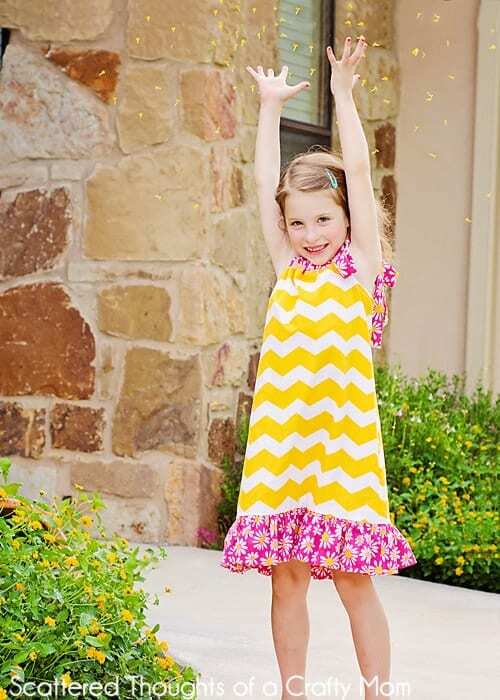 A Pillowcase Dress is an excellent example of a “quick and cute” type sewing project. 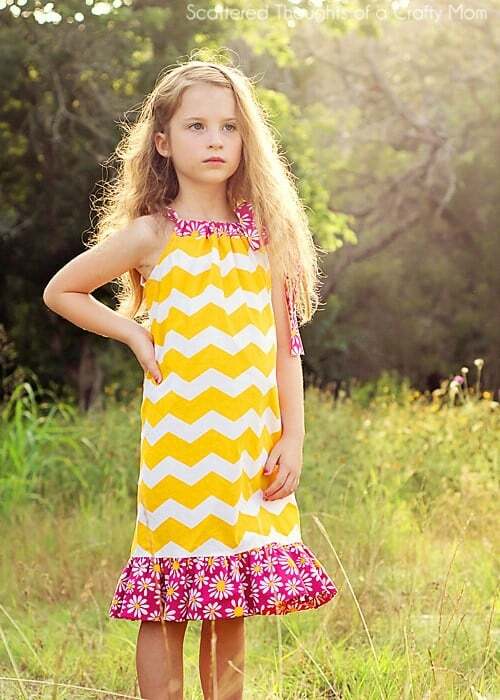 Pillowcase dresses are designed to be kind of a “one size fits all” type dress for little girls. The way the dresses are made (loose fitting and gathered around the neckline), the dress will “grow” with the girl, eventually becoming more of a top than a dress. This style of “dress” has actually been around for years and years. These little dresses are fast and simple to make and originally were a great way to recycle a set of pretty pillowcases when one of the set was lost. 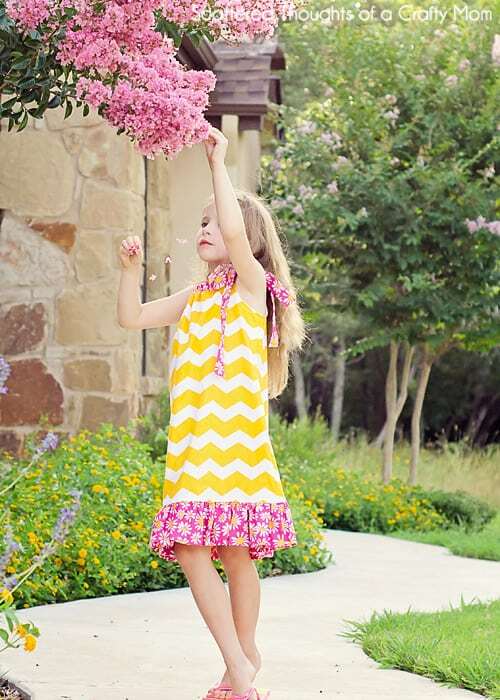 Of course now the trend is to make the pillowcase style dresses with bright and trendy fabrics. I will say, I’ve learned (the hard way) to listen to her opinions and sew with fabrics she likes- nothing more disappointing that her refusing to wear something I made! When I first got back into sewing, I remember being nervous about sewing without a pattern or having to make my own pattern. So, if you’re new to sewing or just picking it back up after many years, I know exactly how you feel! The good news is, for this tutorial, I’ve included a printable pillowcase dress pattern that you can download and print. This post includes step by step instructions on how to sew the pillowcase dress, with photos for you to follow. Since Pillowcase dresses are designed to grow with the girl, the patterns tend to be “one-size-fits-all.” I wanted my pillowcase dress to a bit better, so I created two different pattern sizes: 2t to 5 and 6 to 8. In this pillowcase dress tutorial, I’ll show you how to make a basic pillowcase dress with a ruffle bottom. At the end of the tutorial, I have included 5 simple options to “dress up” your pillowcase dress, including the contrasting top (which is what I did for these photos), a solid dress, solid with banded bottom and a different tie/strap option. Fabric requirements (found in a chart on the tutorial page) will vary based on the style you choose and size. For a bigger girl, (dress size 6 and up,) you might wish to add width to your pillowcase dress, which will double the amount of fabric needed. Are you ready to learn how to sew a Pillowcase Dress? Grab the Free Pillowcase Pattern here. Then head to page 2 for the pillowcase dress sewing instructions.